I’m not obsessed with Green Day but hey, they’ve got some good stuff. Anyway, the rebel I’m thinking about is none other than Ahsoka Tano. For those of you don’t know, she was Anakin Skywalker’s padawan learner in the series Star Wars The Clone Wars, and now she’s on Star Wars: Rebels as a leader of the rebellion against the Empire. She is awesome and I love her. Also, the woman who voices her is the immensely talented Ashley Eckstein, who also designs a clothing line called Her Universe for nerdy women! I’ve probably got a bit of a girl crush but that’s besides the point. P.S. I’m aware all I’ve talked about today is Star Wars…it is because I just love it so much. But don’t worry, I’ll write about my other obsessions soon enough. This week, though…THE FORCE AWAKENS FINALLY COMES OUT OH MY GOD. My brain is literally just like STAR WARS STAR WARS STAR WARS STAR WARS STAR WARS. And I’m not going to apologize for it. Woody is struck right in the heart (or other places) by my main lady Jedi. Before I was in love with Luke Skywalker, I declared that Woody was my husband. And yes, I was like 3 when that happened, and nobody in my family will ever forget it therefore I can’t forget it. And it’s okay! Woody is just awesome. Similar to how I disliked Natalie Portman while she was dating Hayden Christiansen, I couldn’t stand Bo Peep. Actually, I STILL can’t stand her…which is why I’m especially angry about the premise of Toy Story 4…but we will save that for another day. Ahsoka Tano is the only one other than myself worthy for my cowboy. And yes, I’m obsessed with Disney Infinity…yet another topic for another day! Or at the very least, I’ll post pictures of my collection after I receive the characters from The Force Awakens. Okay, that’s for all for now! 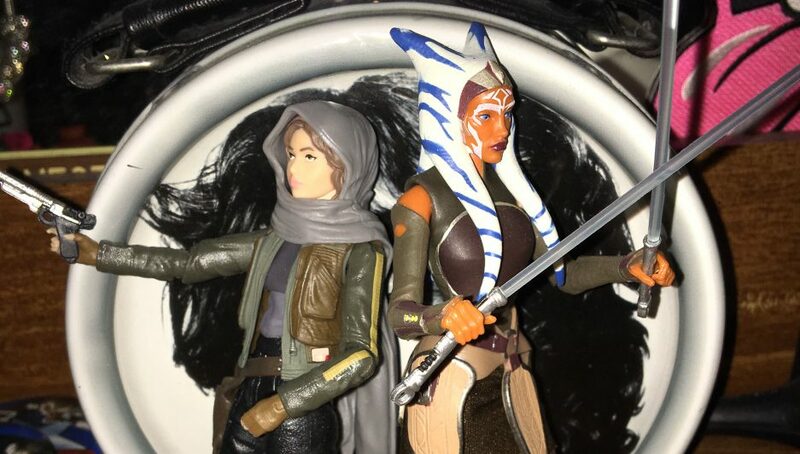 AHSOKA LIVES! !